Cut in my studio from a durable, permanent indoor/outdoor vinyl. *Color choices available at checkout. 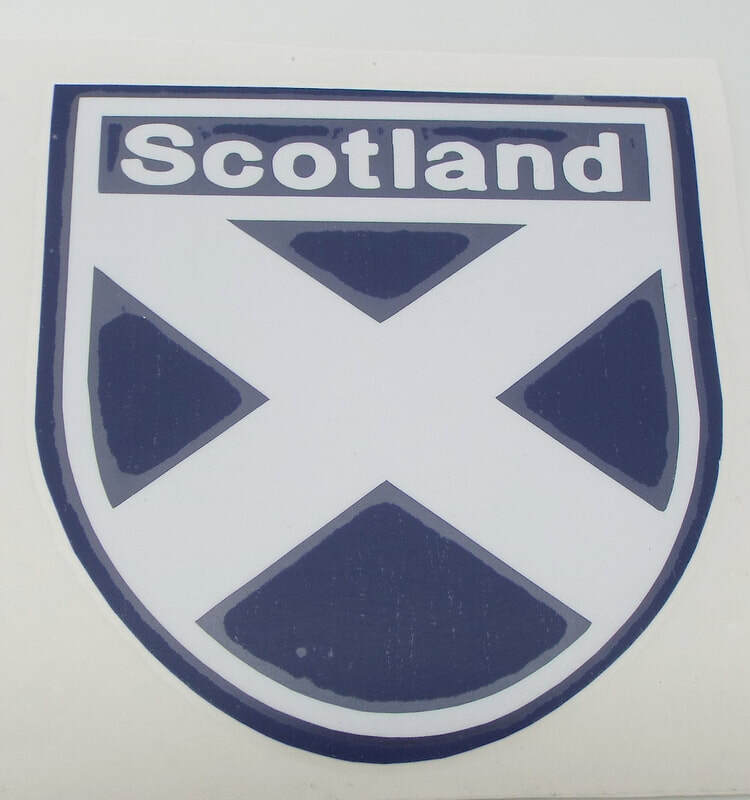 A two color permanent decal with St. Andrews flag. Measures 3.75" x 4. No other color choice available. 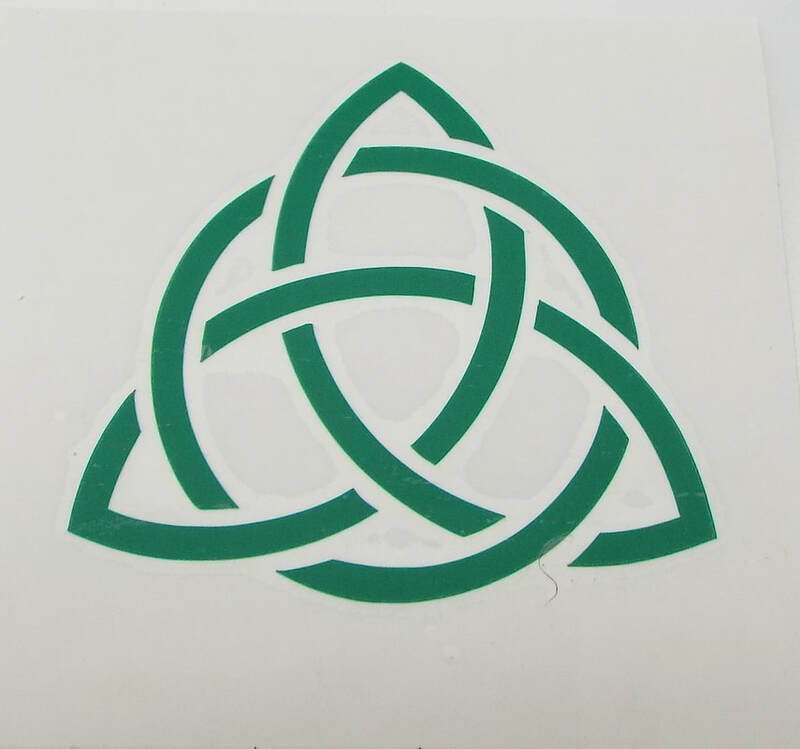 Single color vinyl decal of a trinity knot with a circle. 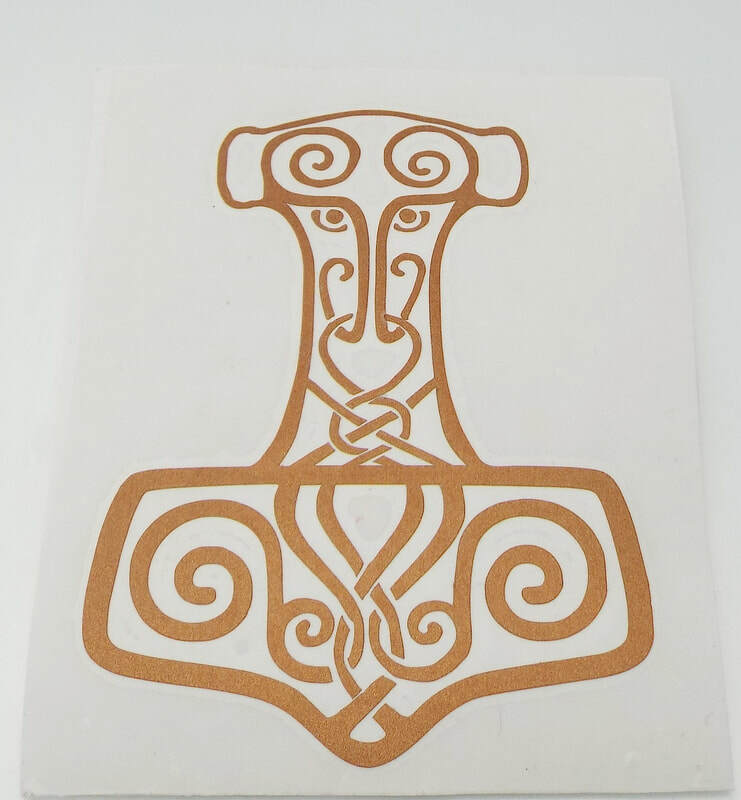 Single color vinyl decal of a Thor's Hammer. 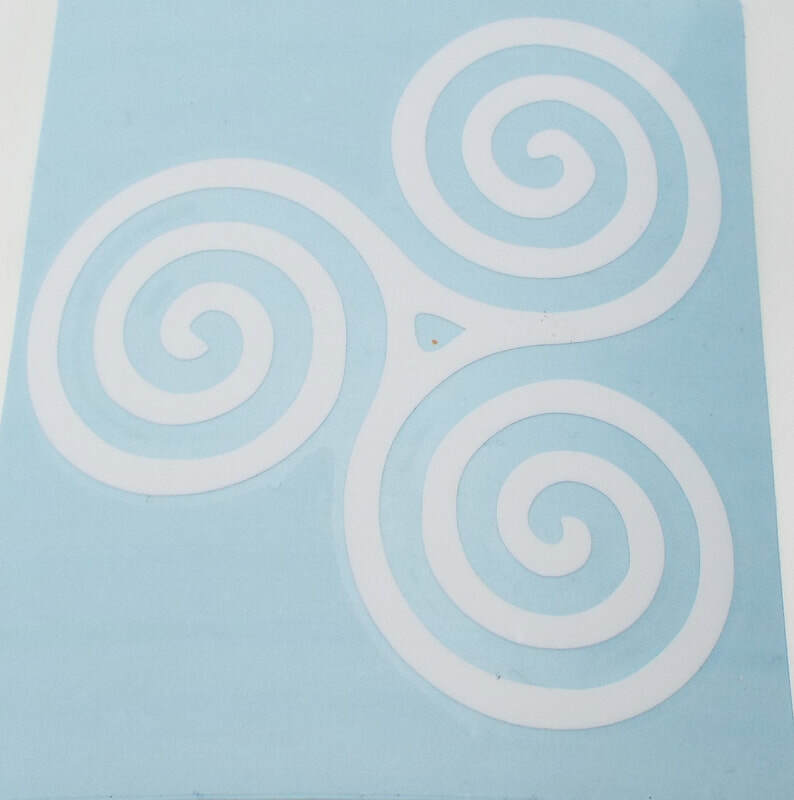 Single color vinyl decal of a triskelle. 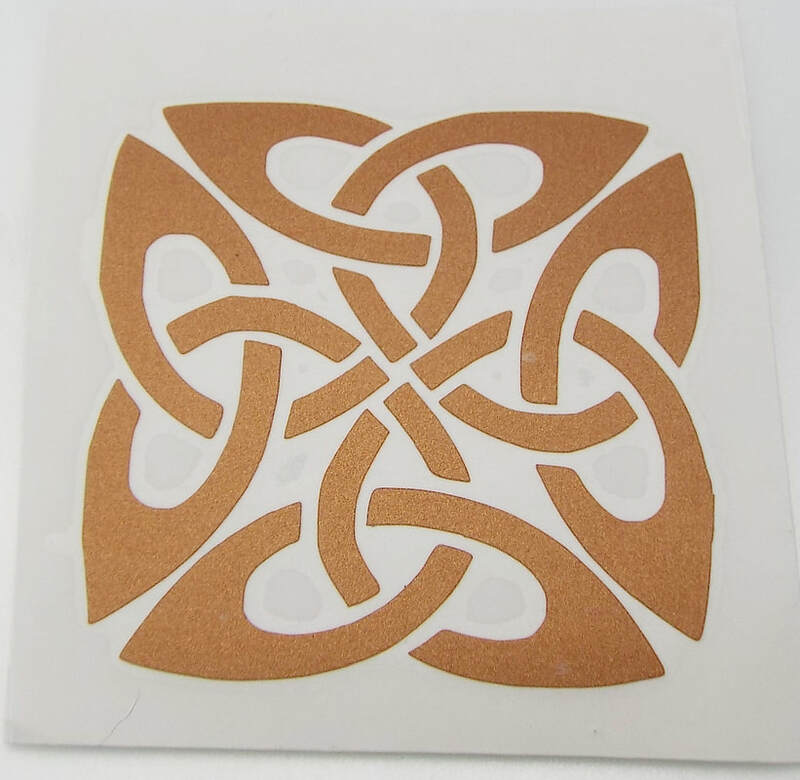 Single color vinyl decal of a square knot.